Chocolat Frey’s Visitor Centre chocolate experience consists of two parts. 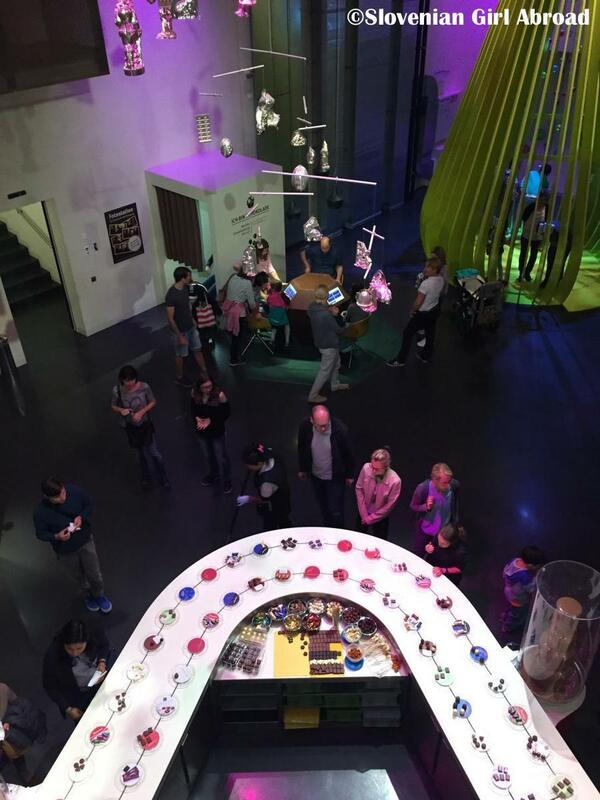 First part is interactive exhibition with multiple stations visitors can walk to with their headphones and learn about the entire process of chocolate making from cocoa bean to bar. They can also touch and smell the ingredients, learn about the manufacturing process and about Chocolat Frey company and products. To me it wasn’t super interesting, but it was very informative. 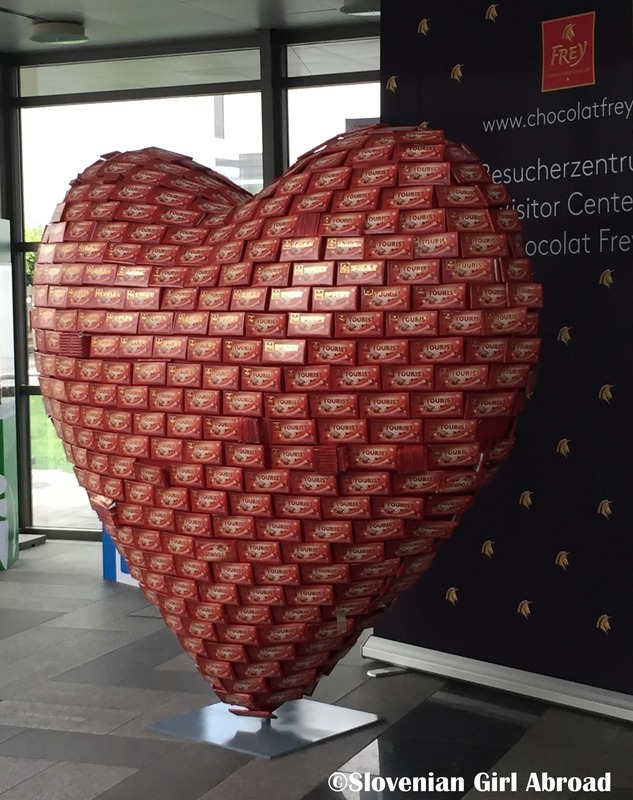 Who would of thought Swiss eat 120 tabs of chocolate bars (equal to 12 kilos) per year!? Second part of the experience is more relaxing and fun. Visitors can engage in numerous interesting interactive experiences. 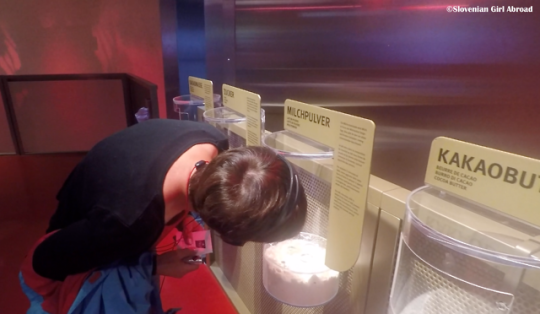 In “Aroma Lab”, they can put their sense of smell to test, they can dress up like a chocolate praline, compete who will collect more chocolate in an interactive game “Chocolate Tank” and observe “Röbi”, a robot packing machine, packing freshly made chocolate. They can also taste as much Frey chocolate as they want from the conveyor belt and two chocolate fountains. I loved this part of the exhibition. It was fun and the chocolate I’ve ate was great. 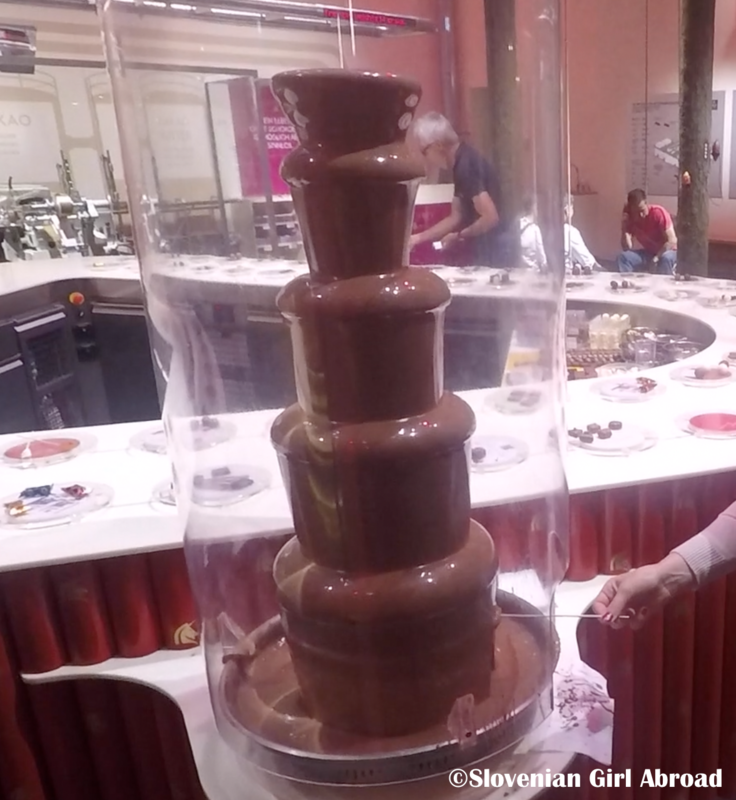 I wished I could take the chocolate fountain home with me. Their souvenir shop is also a good place to buy chocolates and some other Frey-chocolate products and souvenirs (e.g. umbrellas, t-shirts). The prices were at the time of our visit about the same as in supermarkets, but they had flavours in-stock you may not find in regular stores. Chocolate workshops are also available, but I haven’t attended it. It is recommended to book workshop in advance as the slots filled up quickly. There is also a coffee shop on site, but we haven’t tried it. How to get to Chocolat Frey Visitor Centre? By public transport: From Aarau railway station, take the no. 1 bus towards Buchs. It takes just 8 minutes to reach the “Industrie” stop and the Chocolat Frey Visitor Centre. Chocolate….what a wonderful place to visit. Must put it on my bucket list. We’ve been to Lindt a few years ago and loved it! Frey is next on the list next time we go to Switzerland. Awesome! Was Lindt’s similar chocolate experience as Frey’s? I thought they only offer chocolate making courses. 1. You had me at Swiss Chocolate. 2. I’d go just because it says Frey, my new last name haha! Thanks for linking up with #TheWeeklyPostcard! How fun! We love places like this. You know, full of chocolate! Definitely making a note to visit. Thanks for putting it on our radar, and sharing on #TheWeeklyPostcard.